Perfect for the holidays or to make any occasion special! 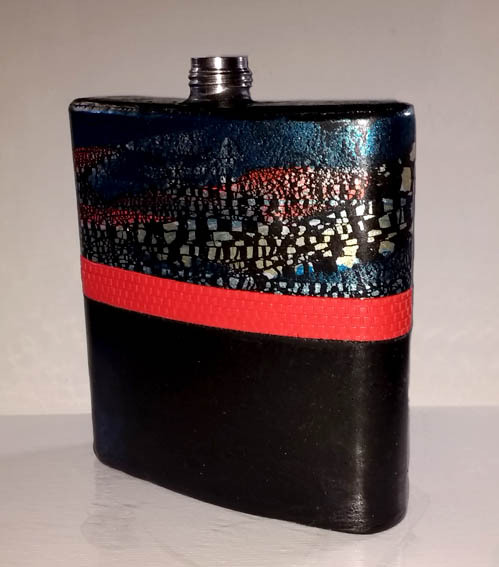 Black Flask with Metallic shimmer has a pop of red. Retro inspired swan walk design with gold band. 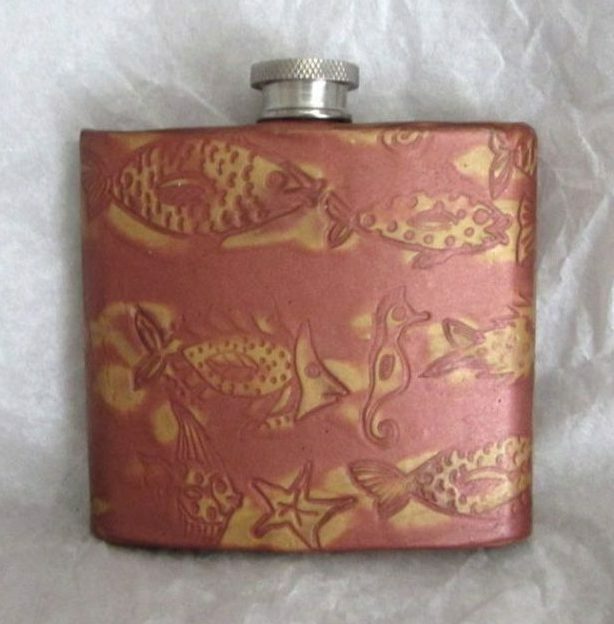 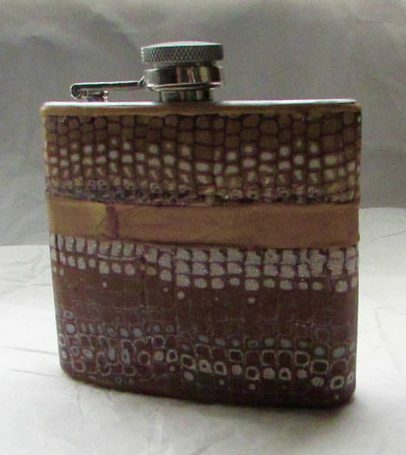 One of a kind hip flask veneer.